If you would like to be another happy Mediacoop client, do not hesitate to contact us here! We have been working with Mediacoop for the past four years, and have made use of their services for Public Relations, promotion, as well as video productions. 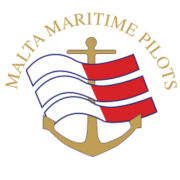 We have worked closely on a number of projects, including the production of a documentary on the work of the Malta Maritime Pilots, filming of a number of activities, the production of the series ‘Harbourlife’, and the promotion of our organisation’s cutting-edge training facilities to the international market. Mediacoop have also produced the promotional video for the European Maritime Pilots’ (EMPA) Conference being held in April 2013, and are currently involved in the organisation of the said conference. I am pleased to say that we have been working with Mediacoop for the past five years during which this cooperative has carried out various Public Relations and Promotional Tasks with very high standards of professionalism and technical expertise. To list but a few of the latest productions carried out for our Organisation, I can mention our magazine, “Koperattivi”, our interactive website and a highly successful series of television programmes “Flimkien Suċċess”.